Video based content has grown massively in the past few years. It’s dominating the online market when it comes to content. In fact, Cisco reports that 82% of all internet traffic will be video by 2021. More and more marketers are starting to add video marketing into their content strategy, according to HubSpot. But creating video isn’t as simple as uploading new content and watching the leads flow in. It’s just as, if not more saturated than blogging already is. Currently, 72 hours of video are uploaded to just YouTube every minute. Here’s how Snowboard Addiction broke through the noise and developed a strategy that helped them grow to become a million dollar business and how you can implement their tactics for your own success. Snowboard Addiction was founded in 2007 by Nev Lapwood out of Whistler, British Columbia, Canada. 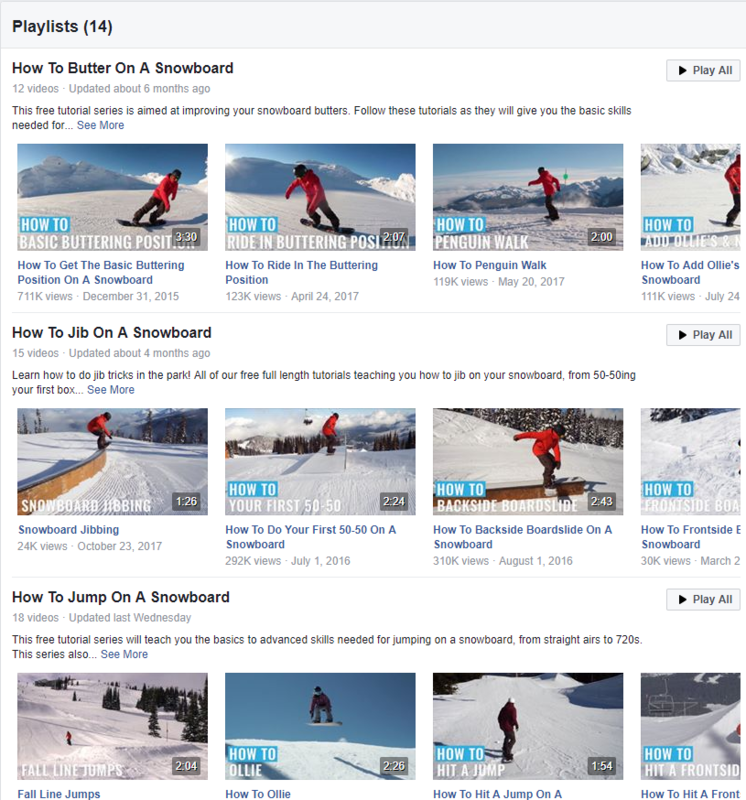 With a focus on top notch snowboard training content, from products to tutorials, Nev teaches the masses how to snowboard with better technique and an easier learning curve. During the startup phase, Nev said that their content was low quality. But as they’ve amassed new users and a massive following, their content has only improved. The business was born out of Nev’s love to ski. Growing up in New Zealand, Nev traveled to Whistler to snowboard and never left. Growing to love it, he became a coach, trainer and a private instructor for multiple top of the line academies and teams. Using the income from these jobs, Snowboard Addiction was born. 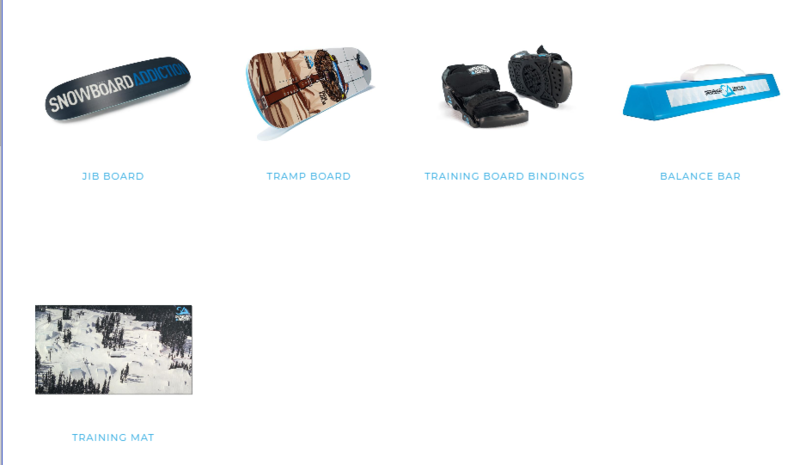 Currently, they sell everything from instruction to specific products meant to improve your snowboard training. On top of just products, they sell a yearly tutorial membership where you can become a user on site. This allows you to stream, download and access their content from any device, helping you to train wherever you are. To keep users interested, they add new content from high-level coaches every month. Video content is at the center of their business. Starting with cheap video equipment, they built an empire of content that drives tons of traffic to their site. Supplementing their video content with blog content, they’ve been able to turn quality traffic into leads, subscriptions and loyal customers. Focusing on video, they’ve been able to grow to become a million dollar business. 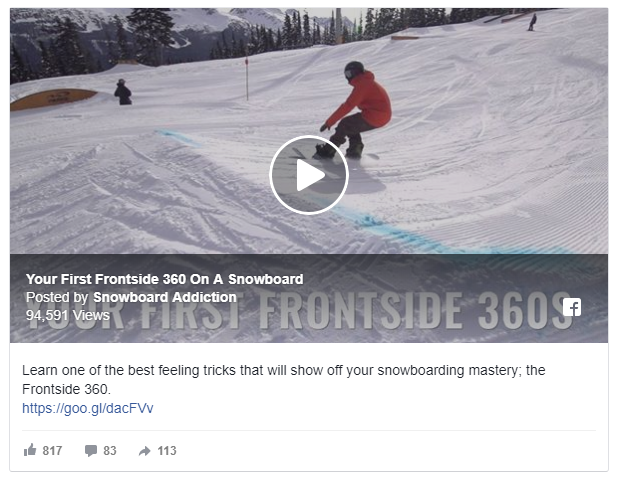 Here’s why video needs to be a part of your business in 2018 and how you can follow Snowboard Addiction’s strategy to implement it. Video content is dominating the online space, and according to Cisco, is only predicted to increase by 2021. The mass majority of internet traffic worldwide by 2021 will be video-based. According to HubSpot, more and more marketers are adding video marketing into their content marketing strategy. To add to those facts, YouTube has grown to 1.5 billion monthly active users. Those users are watching more than one hour per day. More than 500 million hours of videos are watched on YouTube daily, too. And according to WordStream, 45% of users on Facebook watch more than an hour of videos every single week. Not only is video dominating traffic, but 51% of marketing professionals state that video is the best ROI producer in content marketing. Companies using video content to drive traffic and sales are growing 49% faster than those who don’t. Now is the time to implement video content. 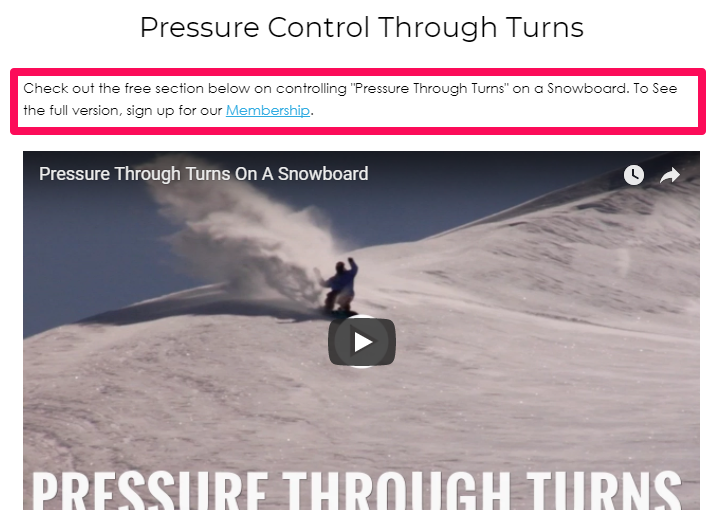 Here’s how to follow in the path of Snowboard Addiction by creating a video content strategy to grow your business. Creating any old video content won’t drive traffic, leads and sales. Nobody wants to watch boring content. 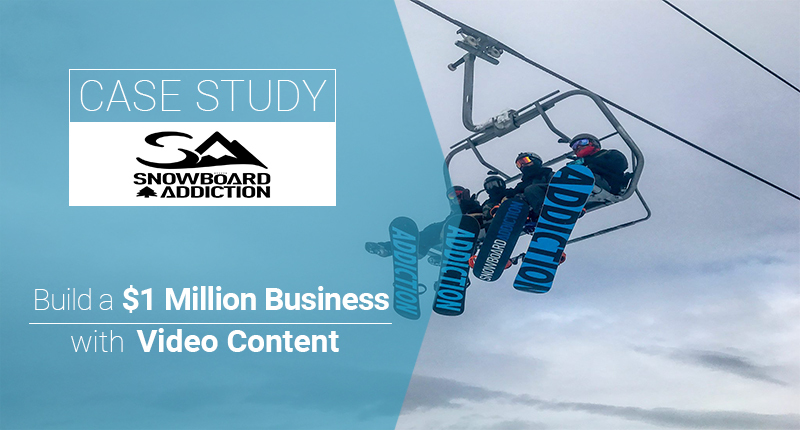 In this section, I’ll walk you through how Snowboard Addiction built their video strategy into an empire and how you can do the same. When it comes to video content, there are countless different styles. Depending on your business model, each content type can play a role. How-to videos: directly showcasing how to accomplish certain tasks. For example, how to conduct on-page SEO for your blog. Tutorials: usually shorter and focus on visual aspects of completing a task or learning a new piece of information. General business video: this can be almost anything that focuses on simply promoting your brand, products or company development. Based on your goals, you can start to outline what video types you think will be successful. Snowboard Addiction started out with adventure style videos, showcasing their snowboarding skills and amazing views on the mountain. But that type of video content only got them so far. It was difficult to leverage that content into sales. Why? Because they couldn’t use it to promote any products. Sure, adventure and entertainment videos are great for building some brand awareness. For establishing your brand and building a position in the minds of consumers. But they often lack a selling point. 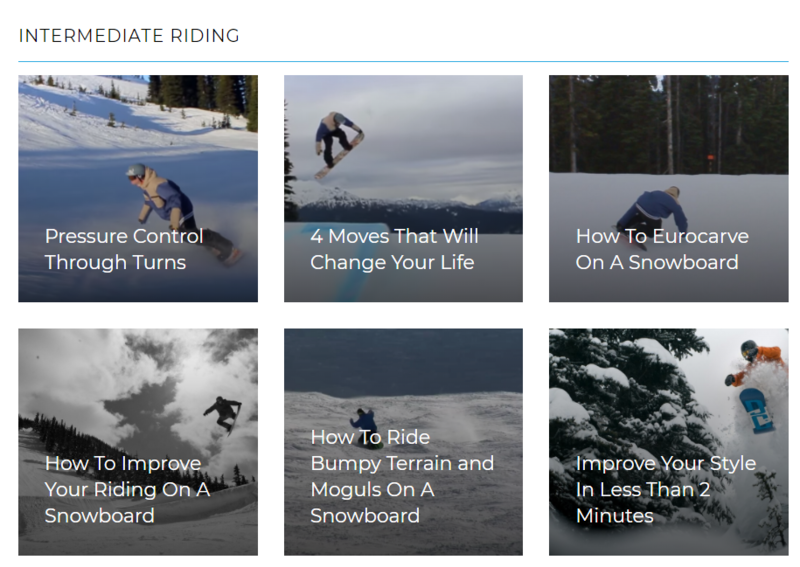 Soon, Snowboard Addiction transitioned into how-to and tutorial style video content. Giving this as free, entry-level content, they could leverage interested users into more premium tutorial content and supplemental products. What products do you sell and how can that product be shown or teased within a video without seeming overtly sales driven? What goal do you have with videos? Awareness? Direct sales? Depending on a few of these factors, video styling should come to mind fast. For example, if you sell clothing, styling videos or tutorials on dressing for the right occasion could become your bread and butter. Do you sell a service? Conduct how-to or tutorial videos that showcase your service benefiting potential customers in that process. A great way to assess your video style is by doing basic competitor research. Start on Facebook by looking up your competition and seeing if they have any video content. Do the same process on YouTube and note down any specific video styles that they focus on. Do they do any series style videos? Do they just showcase products? How can you improve based on their content? Ultimately, video should solve a pain point or provide quality entertainment. Follow your instinct and customer research to guide your video style. Single videos don’t keep people coming back for more. They simply don’t have the incentive to return. They have already consumed the content, leaving them fully satisfied without need to come back. Creating a video series and releasing it all at once, giving users tons of content that keeps them engaged for much longer periods of time. Snowboard Addiction has mastered the use of shorter videos in a series format to create more content and pull in more viewers. Using different playlists based on specific tutorials, they can split their content in more videos. Instead of one long, 20 minute video, they divide their content into just 2-3 minutes, making each tutorial hyper-focused. In addition to more specificity with each video, they can produce 10x the amount, leading to more keyword opportunities. 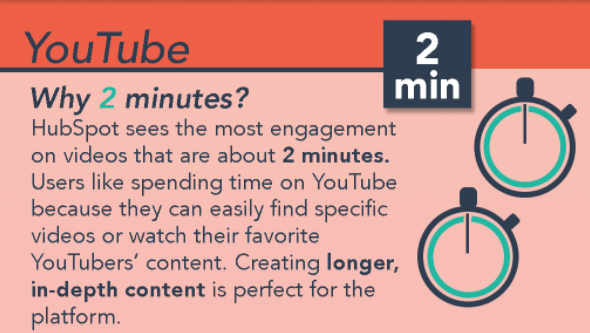 Plus, according to HubSpot video studies, two minutes is the optimal length. So, how often should you be making video content on Facebook and YouTube? In the case of video content, pumping out more is great. But it all has to be high quality. 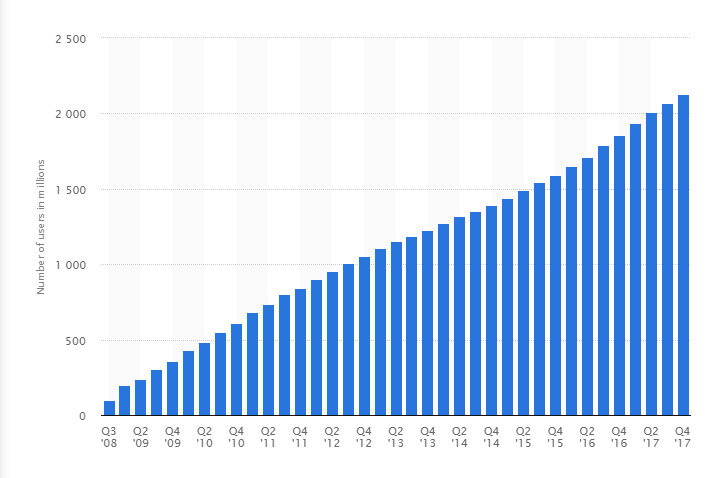 With the current declines in organic reach on Facebook, you have to be tactical about your posting. 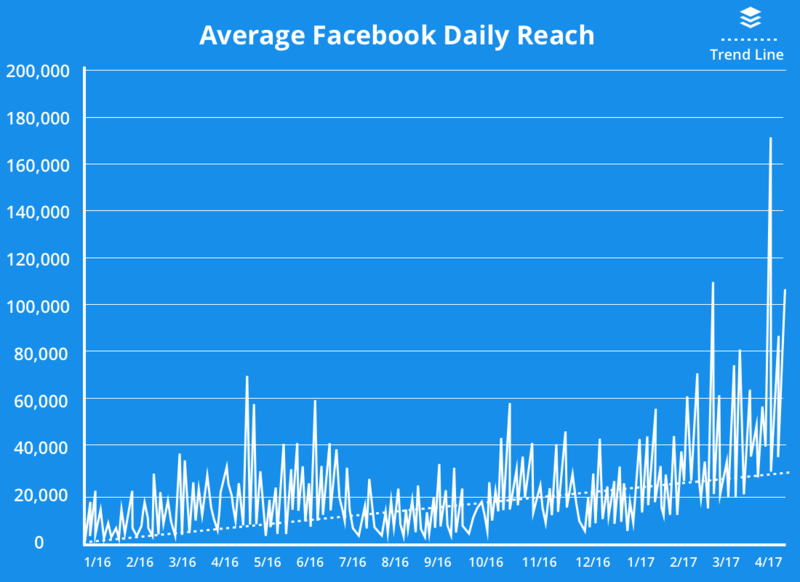 In a study done by Buffer, posting just one to two times per day skyrocketed their average daily reach. It improved engagement on each post by 3x the average. Limit your video posting to just a few times a week for the best results, and supplement the rest with non-video content. To create a series of videos related to your business and your products, think about different content related to your products. For example, if you sell basketball gear, you can start creating basketball tutorials or comparison and review videos on the best equipment. Break down videos into specific comparisons between top brands, allowing for a video series with dozens of videos and comparisons, rather than one large one. It’s no secret that blogging is a vital piece of the content marketing equation. 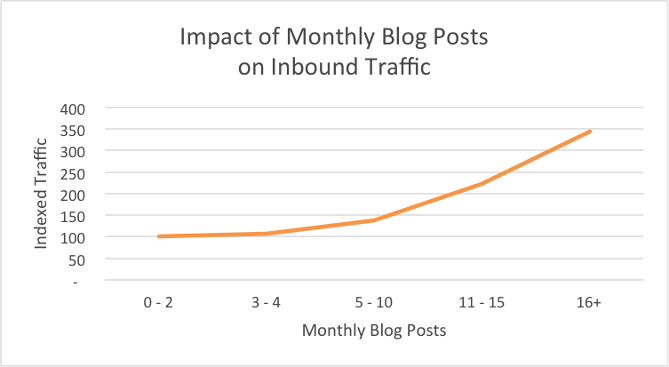 If you want more inbound visitors, you blog, right? So, how does video fit into all of this? Well, video can be your jumping off point to creating even more content. 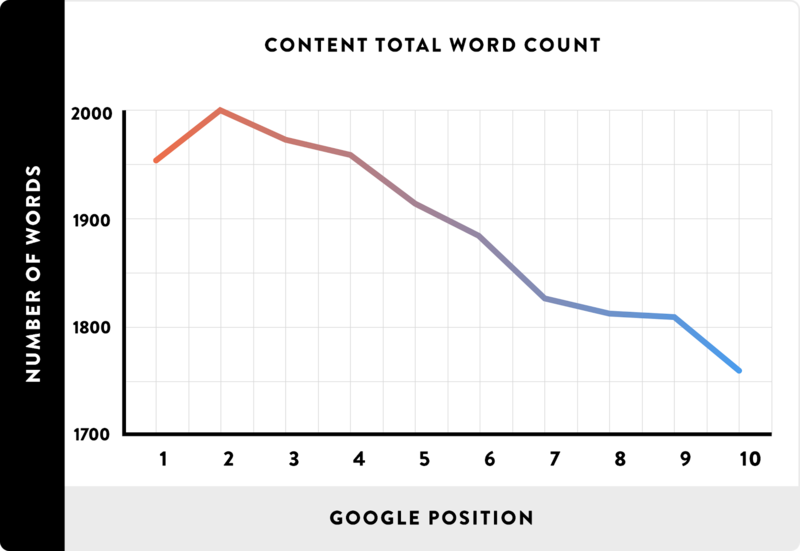 With keyword searches on Google, video content doesn’t index the same way that written content does. Turning them into a long-form blog post can solve that issue, helping you to rank for top keywords in your space while providing a combination of video and text. The video portion works to drive awareness. But video alone on YouTube won’t convert. There are no ways to drive a sale directly on YouTube. To combat this, they drive clicks back to their full blog post on site. Using the content as a learning tool, they promote their subscription membership that gives you unlimited access to content. Snowboard Addiction talks about ways to solve common pain points and problems with their own products, effectively pitching and selling their product without being overtly obvious about it. They develop video content that revolves around using their products and services to aid success. 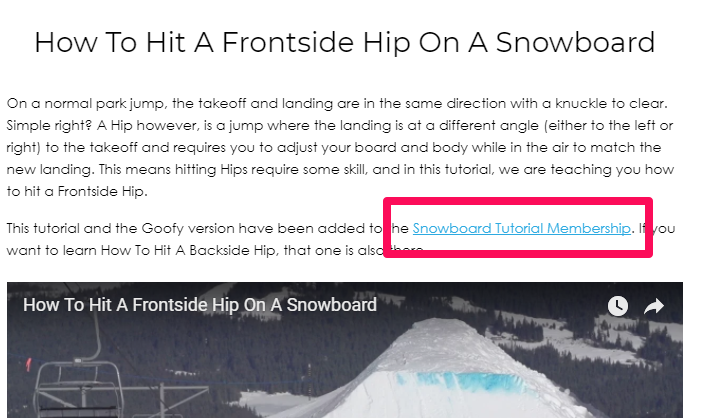 So without directly telling people to buy their membership or their snowboard tools, they showcase how those items can help users learn faster. Once you’ve built a video series on Facebook and YouTube, it’s time to promote them with ads to grow your user base of interest fans who can purchase your products down the line. One of Nev’s biggest successes came from running video ads to get more leads and brand awareness on Facebook. While YouTube is a great home for content, it doesn’t have the powerful advertising capabilities of Facebook. Both are currently competing for attention in the video space. 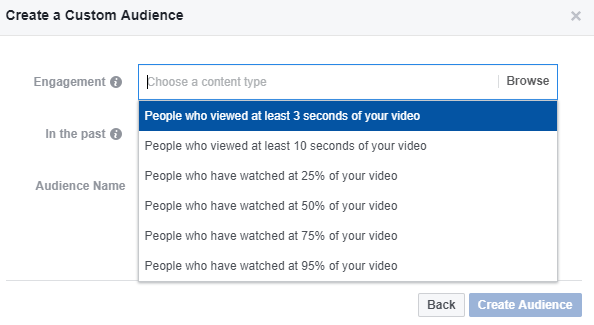 As a result, Facebook video ads are very cheap. Nev currently runs Facebook video ads that only cost him 0.1 cent per view. That means he can get 100 people watching his video for a single cent. Meaning you can secure thousands of views for just a few bucks a day. The key here is to establish a funnel of video ads that starts from awareness to leads. Video awareness ads will bring in thousands of new users. Then, using remarketing, you can separate the interested cohorts and turn them into subscribers on your email list. 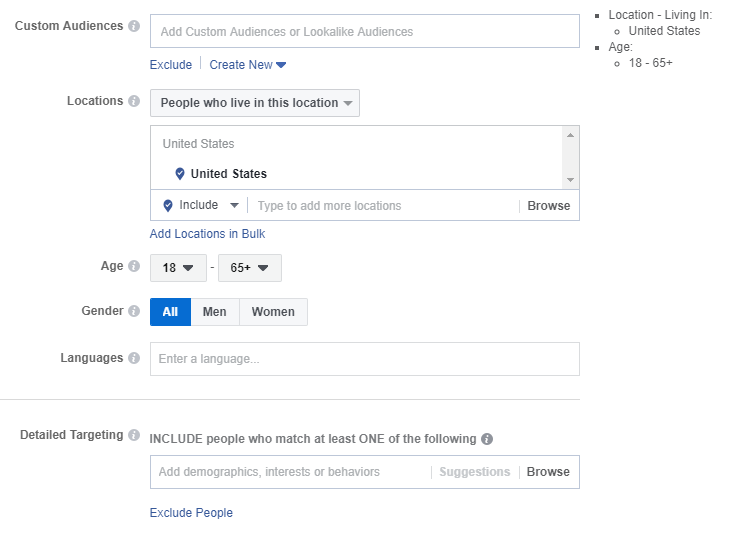 To get started, create a new saved or lookalike audience based on your typical customer demographics. Always ensure that you upload your video or choose an existing one from Facebook. Do not copy and paste your YouTube links or try to integrate them. Facebook will actually punish this and devalue your ads. Always upload videos or browse your existing library, and ensure that you meet the recommendations and specifications for videos. 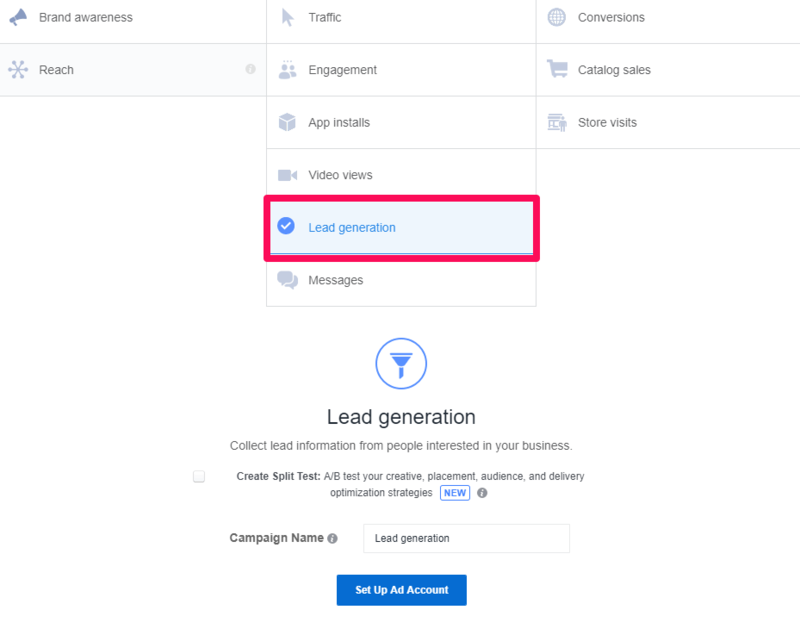 Lead generation. Leveraging interested viewers into sales. 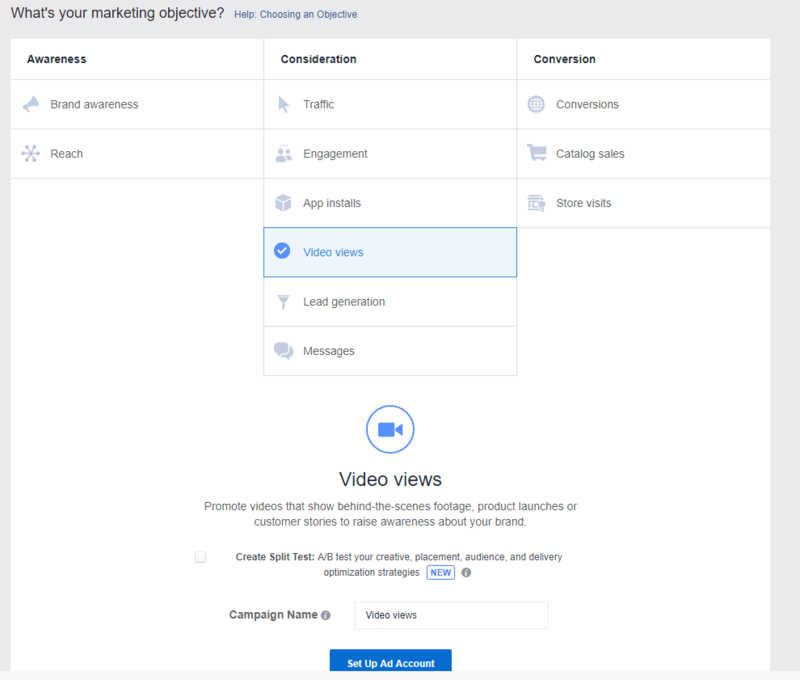 For your ad parameters, you can target audiences based on how much of the video they viewed. When it comes to lead generation, you want the most engaged potential customers. For this, I recommend choosing people who watched at least 10 seconds of your video, or at least 50%. This will ensure that you only keep top quality leads in your funnel, saving you time and money. 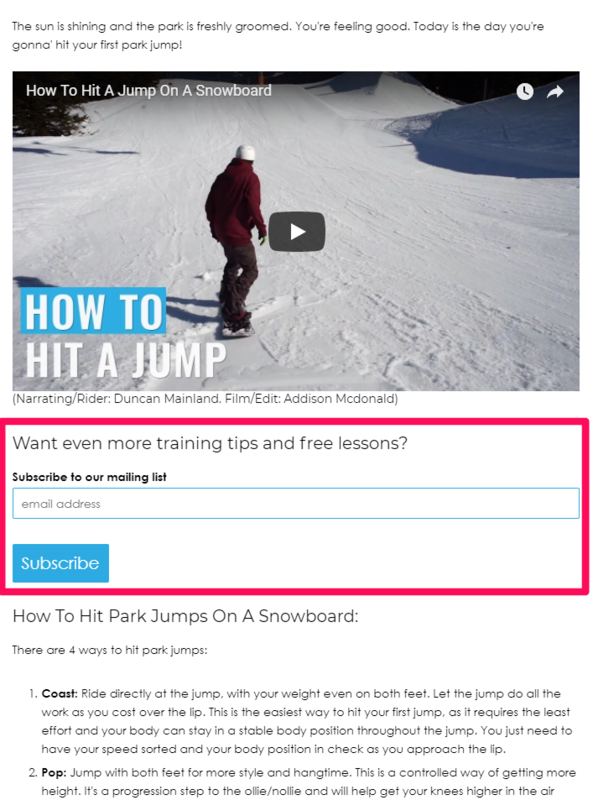 Here you can showcase another related video to your remarketing list that prompts them to fill out a form and sign up to your email list. Using video ads for awareness and video-based lead generation ads, he can funnel traffic from unaware to signing up for his email list. Video content is exploding. According to Cisco, 82% of all internet traffic will be video driven by 2021. Marketing professionals are adding tons of video content to their marketing gameplans in 2018. Now is the time to hop on board (pun intended). Snowboard Addiction has been thriving with the use of video content. To follow in their footsteps, first decide on your content style. Are you going to create tutorials? How to videos? Adventure videos? 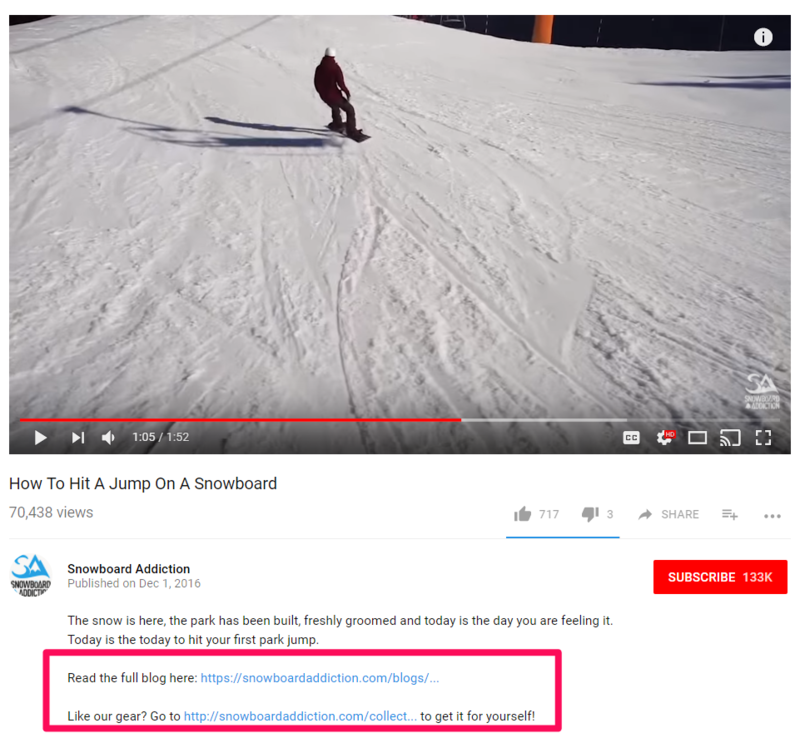 Snowboard Addiction transitioned from adventure style videos into a how-to format, finding their niche and seeing exponential growth. Next, create a video series on Facebook and YouTube. Snowboard Addiction does this to upload more videos and create longer series that are niche focused. 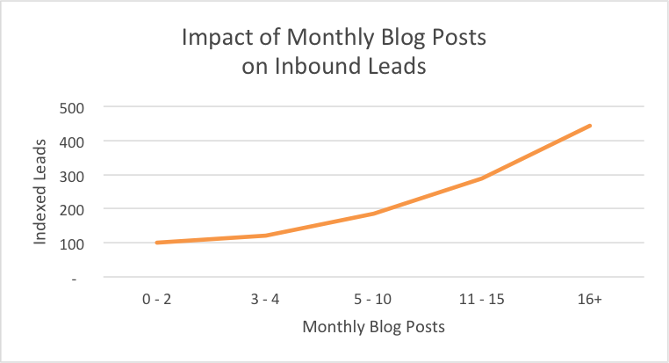 They then turn that video content into long-form blog posts to capture the positive benefits of blogging for inbound SEO leads. 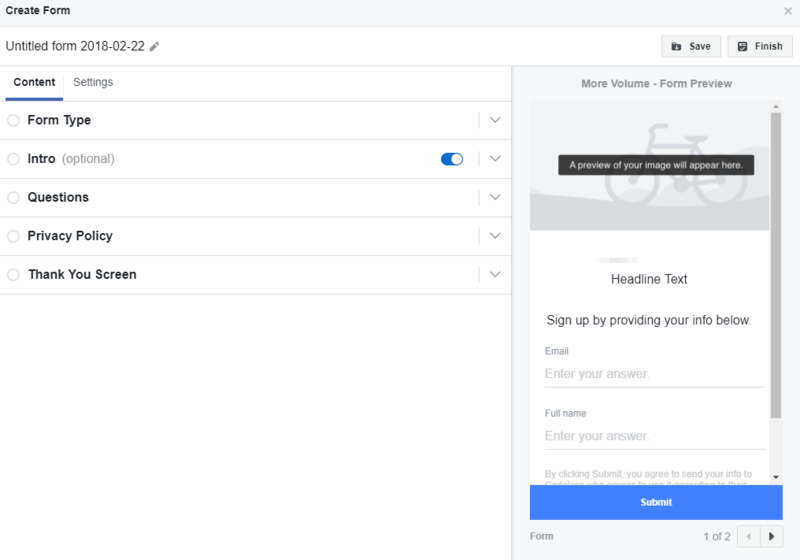 Lastly, run Facebook video ads to secure leads for cheap. 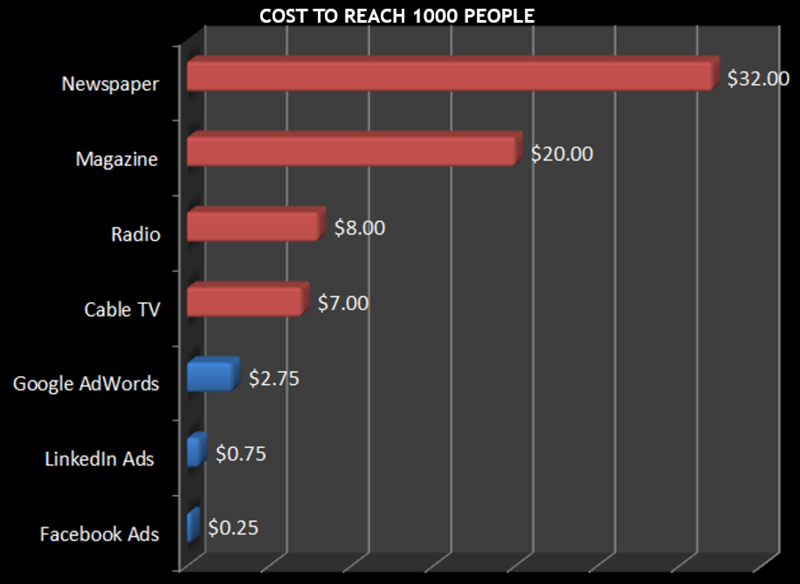 Facebook has the cheapest CPM of any ad format ever. Take advantage of it to build your own funnel from awareness to sale. Creating a million dollar business isn’t easy. It’s one of the toughest ventures you’ll undertake. But video content can help you get there. Now it’s your turn to get started creating high quality videos for your business. What are your plans for video content in 2018? How will you use videos to drive leads and sales?